We have over 20 years experience in commercial flooring and our team of specialist fitters pride themselves on their quality of work. 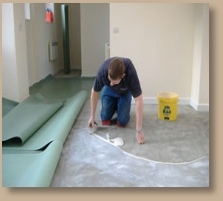 We can supply and install all of the following commercial flooring products: Carpets/Carpet tiles/Sheet vinyl/Safety flooring (for wet areas) Vinyl Planks and tiles/Engineered wood flooring and Solid hardwood flooring. 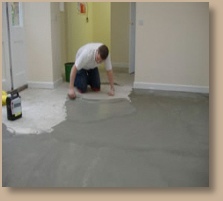 Preparation for commercial flooring includes: Uplifting old flooring, Damp-testing, Laying plywood or hardboard, Laying liquid damp-proof membranes, Levelling floors with latex and water-based smoothing compounds.